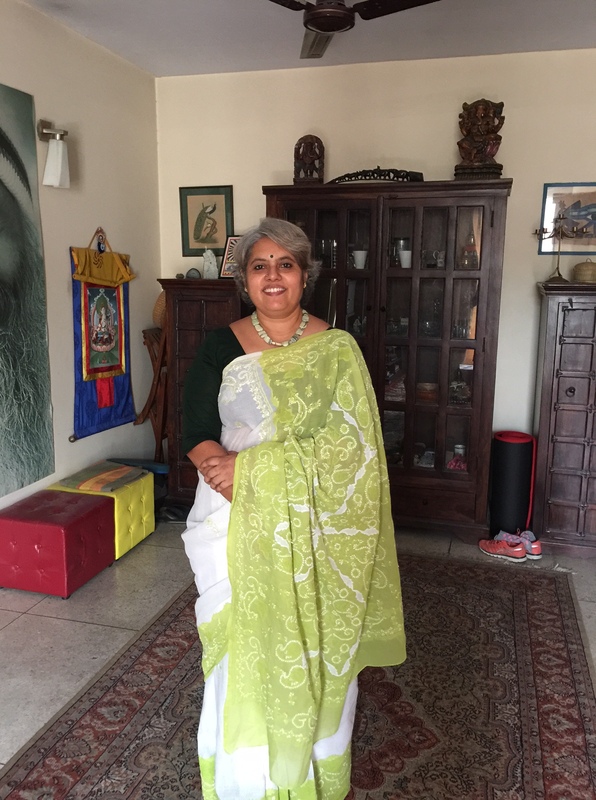 This sari is special for many reasons …. 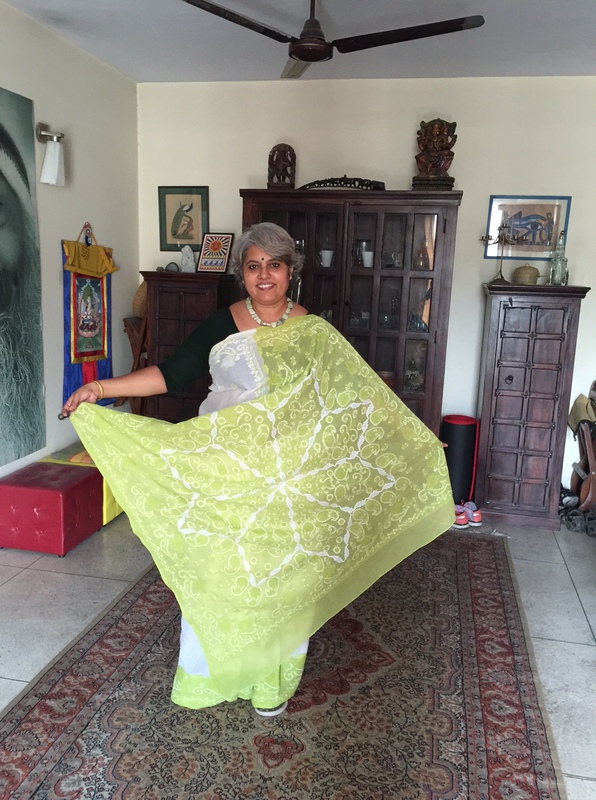 I bought this and three other saris in 2005 from the SEWA outlet when we visited Lucknow with Amma and Appa. We had gotten back to Lucknow from our trip to Naimasarinyam, supposedly the place where Goddess Sita gave birth to Luv and Kush and spent her time before returning to her mother Earth’s fold. The four saris including this one, are special because Krishnan bargained for them :):). He never bargains, he just decides if the price is fair and pays or doesn’t buy the thing if he feels the price is unfair. This was the second instance that he had bargained after bargaining for a lovely painting in Egypt. 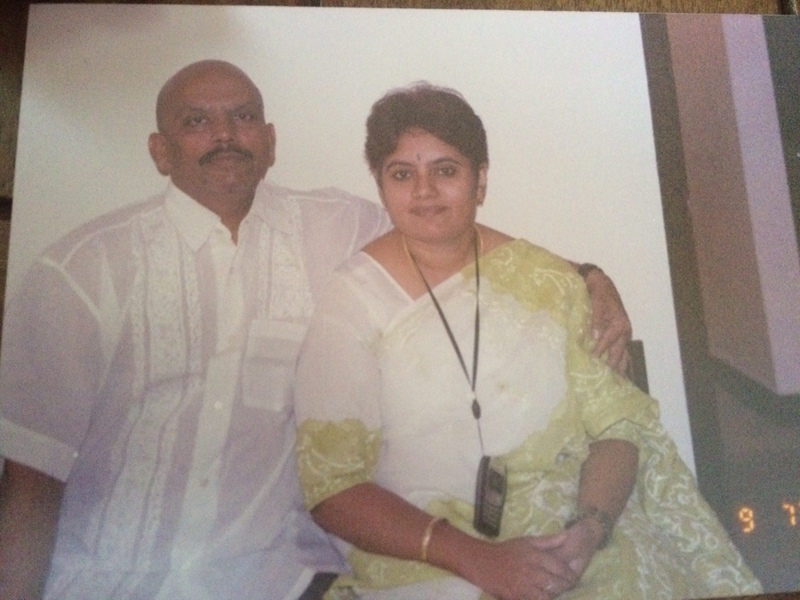 I wore this sari for the first time for our 2005 anniversary. We had gone to Singapore to catch our first Cirque Du Soleil show. 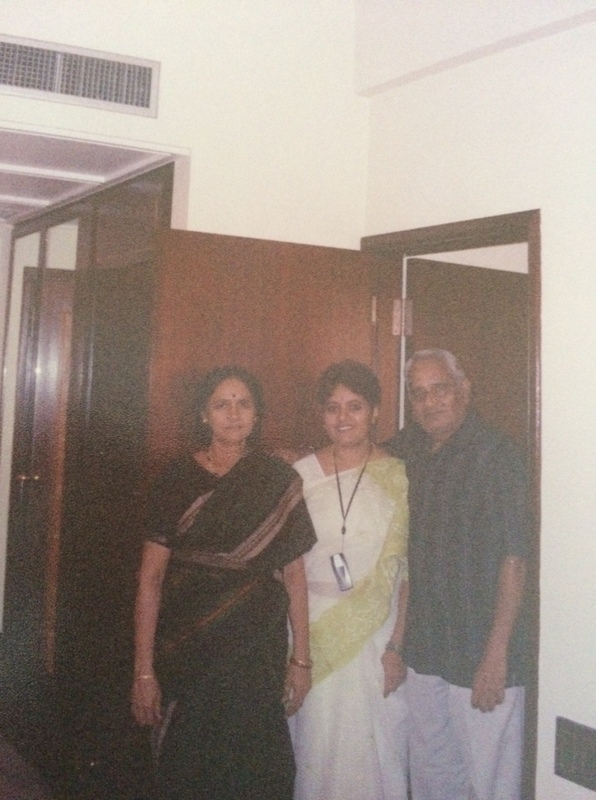 The next two pictures are grainy because we didn’t have a great camera then, but you can’t miss how I resemble dad and completely gave a miss to Amma in the “looks” department. Hahahahaha. Krishnan is wearing a crisp cotton shirt with some embroidery on it. Also my habit then of having my phone on a lanyard around my neck…. The following two pictures are from a couple of days back when I wore this sari. Have worn it several times in between, the blouse is almost in tatters but the sari is intact and still looking great. Don’t miss the appliqué flower and the fine chikankari … stunning. The neckpiece is as always from Desh Maheshwari, Noida. I don’t know the stone but it has these beautiful black lines running across. Anu Varshney, don’t struggle to count the pleats – I got 4 pleats on this one :):).